Dr. Richard Schanler is the director of Neonatal Services at Cohen Children’s Medical Center and Northwell Health in Long Island, New York. He also serves as program director for the Fellowship in Neonatal-Perinatal Medicine. He is professor of pediatrics in the Department of Pediatrics at the Zucker School of Medicine, and professor at the Feinstein Institutes for Medical Research of Northwell Health. Northwell Health comprises more than 20 hospitals with 12 newborn services, more than 40,000 births per year, and more than 4,000 NICU admissions per year. Dr. Schanler earned a Master of Science degree (Microbiology) at the University of Illinois, Urbana, and his Doctor of Medicine degree at the College of Medicine and Dentistry of New Jersey in Newark. He completed internship, residency, and chief residency in Pediatrics at the University of Colorado Medical Center in Denver, and a fellowship in Neonatology at Brown University. He is a former Professor of Pediatrics (Neonatology) and investigator at the Children’s Nutrition Research Center at Baylor College of Medicine in Houston. Dr. Schanler is an elected member of the American Pediatric Society and Society for Pediatric Research, and a Diplomate of the American Board of Pediatrics. He has served as a member of the Sub-Board of Neonatal-Perinatal Medicine for the American Board of Pediatrics. He is a former founder and President of the Academy of Breastfeeding Medicine, and of the International Society for Research in Human Milk and Lactation. He is the immediate past Chair of the American Academy of Pediatrics’ Section on Breastfeeding, and is the Senior Editor of both editions of the AAP/ACOG Breastfeeding Handbook for Physicians. The Division of Neonatal-Perinatal Medicine in the Department of Pediatrics is an academic and clinical center comprised of two Regional Perinatal Centers – Cohen Children’s Medical Center and North Shore University Hospital, and research laboratories at the Feinstein Institutes for Medical Research. The Lilling Family Neonatal Research Lab at the Feinstein Institutes for Medical Research Division is a dedicated neonatal research laboratory. Active areas of faculty research include neonatal nutrition and human milk immunology, gene transfer of antioxidant enzymes, effects of hyperoxia, pulmonary hypertension, neonatal transport as it applies to high frequency mechanical ventilation, effects of hypoxic-ischemic encephalopathy and intracranial hemorrhage. The Division of Neonatal-Perinatal Medicine ranks in the top 30 neonatal divisions nationwide. 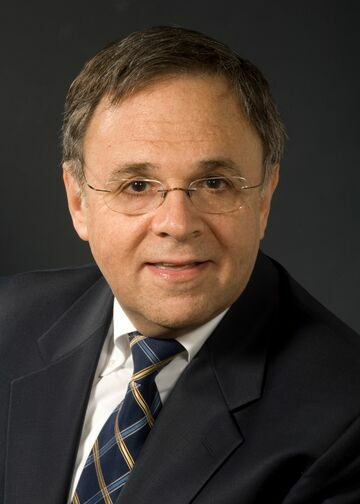 Dr. Schanler’s research focuses on the area of neonatal nutrition and its effect on the critical inflammatory disorder necrotizing enterocolitis. The primary focus, therefore, is the effect of human milk on the premature infant in the neonatal intensive care unit. He studies the effects of early feeding with colostrum, the benefits of human milk fortification, and the use of donor human milk preparations. He also explores how these diet modalities affect the infant microbiome. His lab also investigates compositional changes in human milk and the effect of processing and storage on milk components. Dr. Schanler and his team are a major clinical research site for international studies of neonatal nutrition. Our site has had significant participation in studies on human milk fortification and on the use of donor milk strategies to supplement the mother’s milk diet of premature infants. Studies on parenteral nutrition components and others on support of intestinal growth and maturation are in planning stages. Dr. Schanler is also interested in how nutrition affects growth and developmental outcomes of the premature infant. In addition, the effect of early nutrition and growth on neonatal morbidity is an important part of our research. Research: Investigating transformation patterns of gut microflora in premature infants as a function of diet aimed at understanding and preventing infantile intestinal diseases. Research: Dr. Ahmed’s research focuses on neonatal lung biology and oxidative stress. The primary focus is the effect of free radicals induced by hyperoxia/hypoxia exposure on premature lung. He and his lab members also explore new therapeutic modalities for our neonates’ health challenges including new vasodilators and new anti-oxidants. Research: To characterize the evolution of the airway microbiome in the neonatal period, including its association with oral colonization and pertinent outcomes; to establish the utility of SP-D as a predicator of chronic lung disease in premature infants; and to determine the predictive value of continuous measurement of maternal temperature in labor for early-onset neonatal sepsis. Dr. Weinberger is also engaged in studies to identify potential best practices and improve NICU quality measures. Research: Dr.Perveen and her lab members focus on understanding the mechanism of lung injury after exposure to oxidative stress and with congenital diaphragmatic hernia. Group is working to develop new therapeutic modalities with special interest in preserving angiogenesis and improving lung growth in newborn period. Research: Neonatal brain development facing many challenges among premature neonates including sepsis, oxidative stress (hypoxia & hyperoxia) and other stressors, which lead to long term neurodevelopmental disabilities. Dr. Zaghloul’s research focuses on developing new therapeutic approaches which can offer protection for premature neonates and improve short and long term outcome.